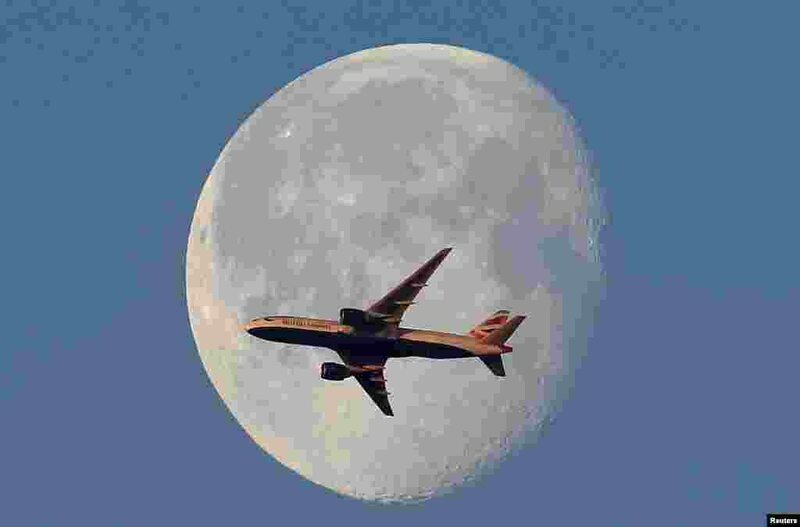 ١ A British Airways passenger plane flies in front of the moon above London. 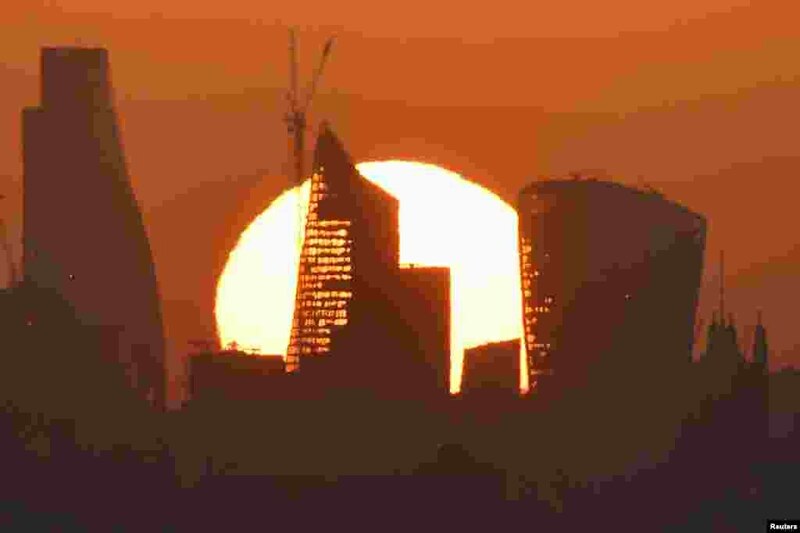 ٢ The sun is seen rising over skyscrapers in London's financial district. 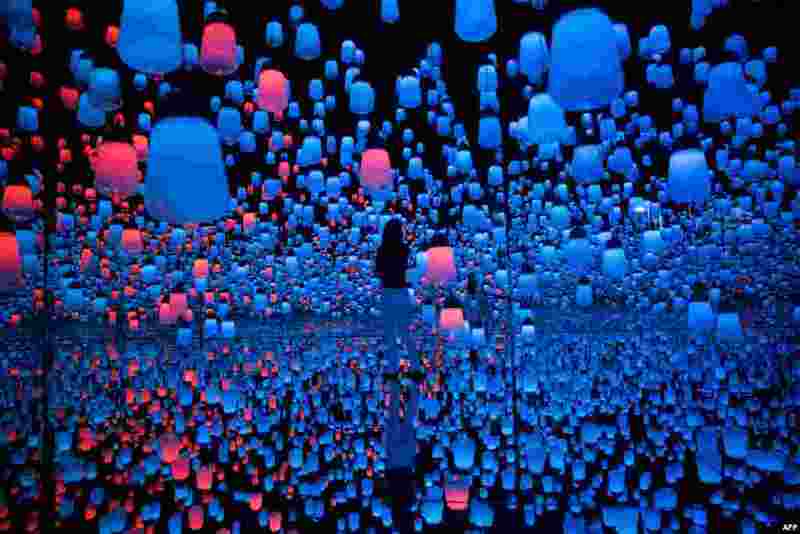 ٤ A member of Teamlab collective walks in a digital installation room with hanging lamps at Mori Building Digital Art Museum in Tokyo, Japan.